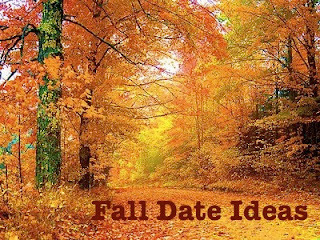 I love the fall season, what I love even more is Date night with my love. 1) Make a fire, sit out in the back yard and snuggle up by the fire, roast marshmallows, talk about your future. 4) Stay in, order a pizza, sit by the fire place and snuggle. I love Fall! Wonderful ideas. Such a fun season! One of the things we love to do in the Fall is to hiking in the woods. Nothing like a crisp fall day and being in the woods. I love apple orchards too! I love the fire pit and marshmallow idea!